Skid Row homeless men, women and children will gather at the Los Angeles Mission for a traditional Thanksgiving meal on November 21. Chef Michael Voltaggio will be creating a menu with his signature flair. The menu will be traditional turkey surrounded by the special creations of Chef Voltaggio, named “Top Chef” in the Emmy Award winning show of the same name. 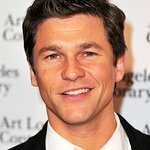 His Restaurant Ink was named “Best New Restaurant in America” in its March 2012 edition. Voltaggio has been working for weeks with the Los Angeles Mission staff to provide a special unique version of Thanksgiving for the community. 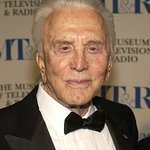 Kirk Douglas and his wife Anne, for whom the Anne Douglas Center for Women at the Los Angeles Mission is named, will host the Mission’s Thanksgiving dinner for the 8th year. Wells Fargo Bank is sponsoring, and will bring its iconic stagecoach to Skid Row to deliver donations. Los Angeles Christian Health Centers will provide foot care and exams at the event. Also expected to attend are Hilary Duff (She Wants Me), Blair Underwood (Medea’s Family Reunion), Sarah Drew (Grey’s Anatomy), Tatyana Ali (Fresh Prince), Mario, Aldis Hodge (Leverage), Edwin Hodge (Red Dawn), YouTube Star Ryan Beatty and many others.